POSTED October 6, 2018 10:20 a.m. It should be a comfortable fit for Jen Schmitz as she steps behind the desk of Cassville’s Village Clerk this month. 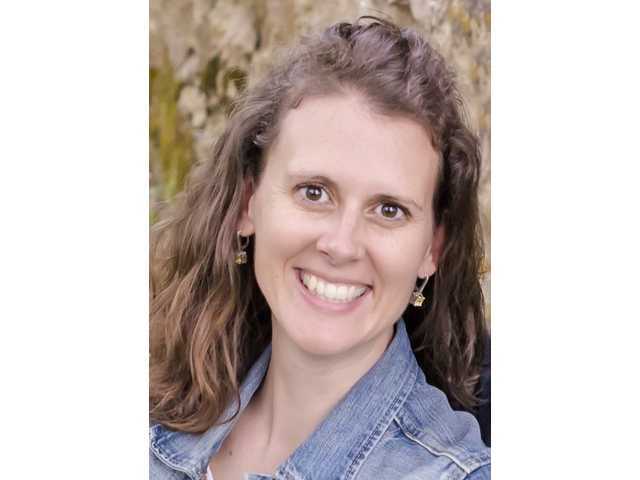 Her wide participation in community activities and organizations since she and her husband Ryan moved to Cassville eight years ago, plus her role as chair of the tourism committee for the past year, has given her a good background and appreciation for what the village is and has to offer. It was there she also met and married Ryan and then accompanied him to Kansas where he pursued a graduate degree at Ft. Hays University. During those three years she worked for Champion Technologies, a company dealing with chemicals for western oil fields. The need to settle someplace came when Ryan joined the faculty at UW – Platteville as biology instructor. Happily their choice was Cassville, a place they came to know when Ryan worked at the Eagle Valley Nature Preserve during summers at college. Jen immediately involved herself in Cassville activities - some shared with her husband - that include Conservation Club, Girl Scouts, Riverette Homemakers, Fire Department, Cassville Historical Society and all that tourism entails. And for a paying job she took a position with Grant County Social services in the economic support unit, which she is now leaving. Added to her resume is the report that Jen and Ryan have started a hobby dog breeding operation. When they lost their German Short Haired Pointer six years ago, it took a long time to find a reputable breeder. When they found one and picked out their pet, it sparked their interest in becoming breeders themselves to fill a need for a dog that is in great demand but with few breeders in the area. “So we welcomed a new baby and a new dog that year,” Jen noted, “and we are still just getting this hobby into full operation. Sounds like a busy family, and it is, but Jen contends it’s important to be a good example to their children, hoping they learn how everyone has a responsibility to help their community be the best it can be. For the first two weeks of October Jen will be working half days in the clerks’s office and full time after that.